Once you have said your vows and the officiant has pronounced you as “man and wife,” it is time to get the party started. Your wedding reception is the chance to celebrate your nuptials with your friends and loved ones. And your wedding reception songs are a big part of the celebration. Therefore, it is important to choose the best songs for your special day. In the following, we shall give you advice on how to choose the best songs for wedding reception to keep your guests happy and to get the party started! When choosing your wedding reception playlist, you need to include a wide variety of music. You should include those which are meaningful to you and your spouse. However, they should also include songs for everyone. This could have Top 40 Pop Hits as well as traditional wedding songs. Generally speaking, your wedding reception playlist should include music from different genres. This includes pop, indie music, country music and rock and roll, to name a few. As well, we have included some of the lyrics from the most popular reception songs. This can help inspire you to select the songs that have special meaning to you and your husband. Therefore, the two of you need to sit down as a couple and come up with a list of your favorite songs. Make sure to choose a couple of fun songs to singas well. You must then present this list to your DJ or wedding reception band. Make sure that the songs you have selected are in their playlists. Also, it is important to communicate with all parties involved before the Big Day. This will ensure that everything goes smoothly and there will not be any “surprises” the day of the reception! As well, check with the venue to see if they have any restrictions on what type of music is to be played. Be sure not to include any songs with graphic or explicit lyrics. This will prevent you from offending anyone at the reception. But do not worry, there are hundreds of perfectly acceptable songs from which to choose. And this is where we come in! We are the experts at choosing the best wedding receptions songs! When compiling your list of wedding reception songs, you need to keep in mind the events of the day. Thus, you will want to choose songs to commemorate the following moments of your reception. These are, of course, in addition to the general list of songs to be played during the reception and any music for dancing. Many couples also include a list of songs to sing at a wedding. This is a great way to engage your guests, not only on the dance floor! “I’ll be your dream, I’ll be your wish, I’ll be your fantasy. 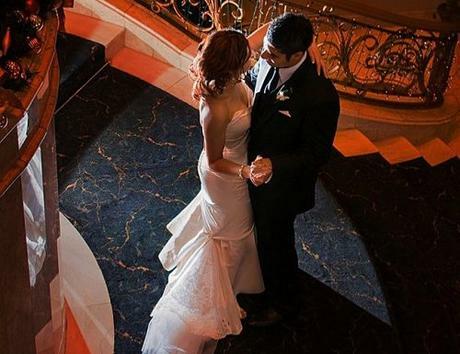 Include these best songs to play at a wedding and you won’t go wrong!